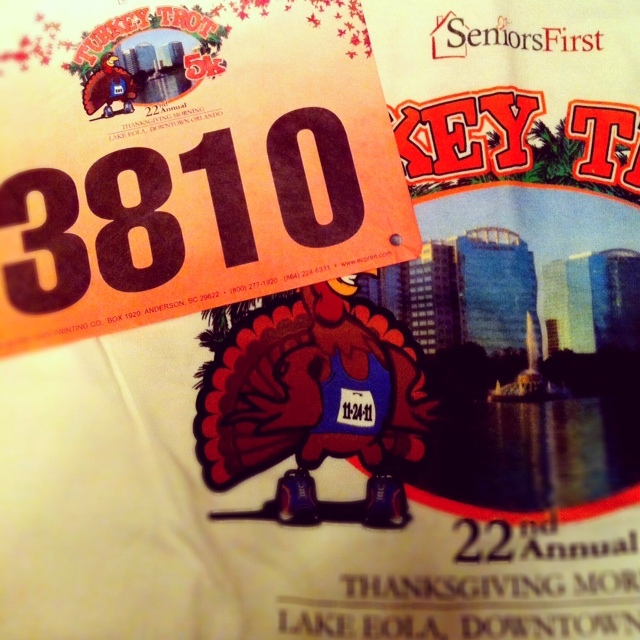 Register for the Turkey Trot 5k: Five years ago I ran my first 5k – the Turkey Trot in the downtown Orlando area. Donnie ran it every year with his Pops and he encouraged me to join in the tradition. Five years later I’m keeping the tradition alive. I love starting Thanksgiving with a run! Buy new running shoes: My NB Minimus kicks were looking pretty run down and with the marathon just over a month away, I figured now would be the perfect time to buy a new pair. 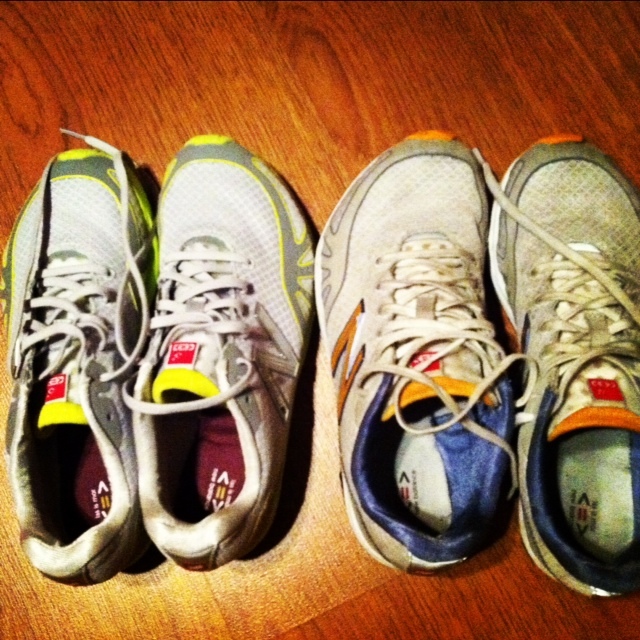 New shoes, meet old shoes. Buy ingredients for my Thanksgiving cooking: I always make pumpkin pie and candied sweet potatoes. Plus this year I’m planning on making pumpkin pancakes after the Turkey Trot. high five for being productive! Thanks JoJo… I’ll take it!